Do you want your web site visitors to have direct access to CDC Parents Are the Key information from your web site? If so, content syndication is for you! 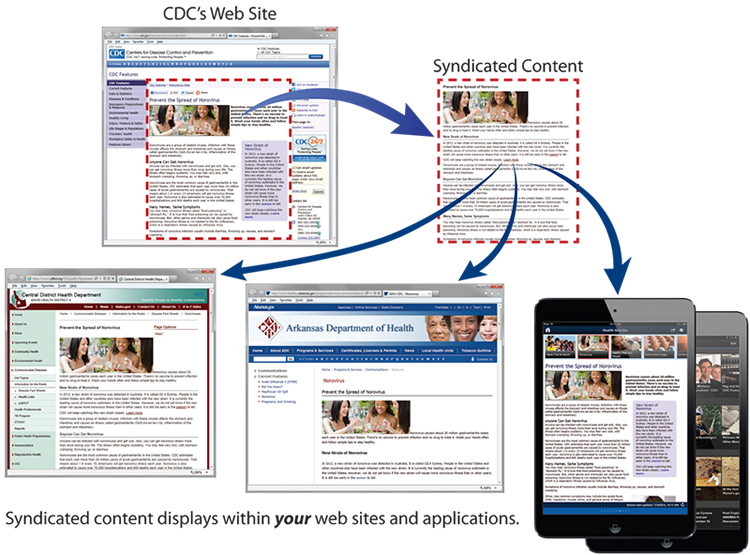 CDC offers content syndication, which allows you to put content from the CDC web site on your Intranet and Internet web sites for free. No more copying and pasting text or broken links because content syndication does all the work for you. Integrating CDC content with your content keeps visitors on your web site, requires little to no maintenance, and is completely free. All you have to do is add a small amount of code on your page, and the content will automatically update whenever we update our web site. Go to the CDC Content Syndication page to learn more and get the code you need. If you need more help, send an email to IMTech@cdc.gov with your name, email address, phone number, public health organization name, and information on any difficulty you are having. A CDC staff member will contact you back shortly.